Are you the kind of person who packs a huge bag for a weekend away? Or ends up never wearing half the outfits in your suitcase? You aren’t alone - holiday packing is tricky business! You never want to run out of outfits halfway through the holiday but lugging a massive suitcase through the airport isn’t all that fun either (not to mention the extra luggage charges). Packing light doesn’t have to mean going without! Streamlining your packing by creating a holiday capsule wardrobe is a really smart way to pack lighter, without forfeiting some of your other travel must-haves. Creating a holiday capsule wardrobe is easier than you think. 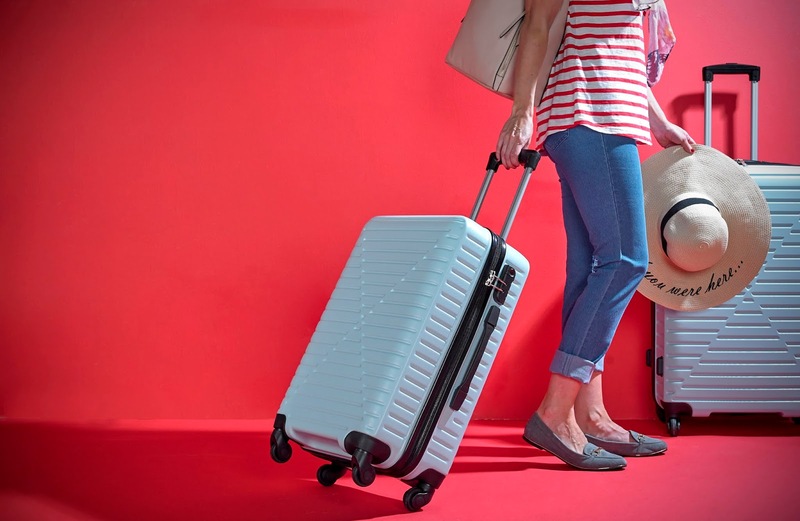 By following these top tips you can save loads of room in your suitcase, and loads of time trying to match your outfits every day. A white t-shirt is a holiday wardrobe staple. Simple, light, goes with anything. You can go for a white T with a bit of detail on but keep it minimal. 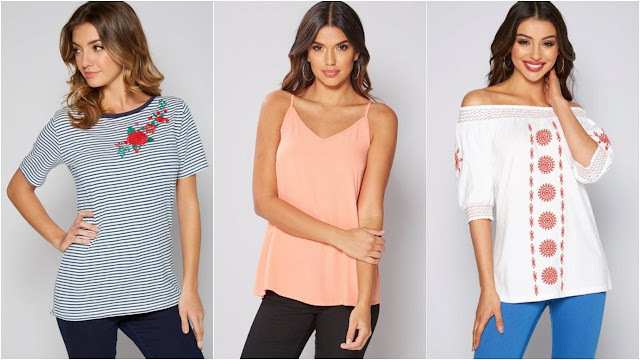 Keep your other tops light coloured (especially if you’re off to a hotter climate) and stick to neutral patterns such as stripes, light florals or embroidery. This will make it easier to mix and match throughout the holiday. Save the bold statement patterns for your one piece outfits! If you’re holidaying somewhere sunny you won’t need too many warm clothes, but a light jumper or cardigan is still a sensible addition for later on in the day. When you’re sat at the bar and the sun sets, you’ll be glad you packed a light layer to keep the chill off. 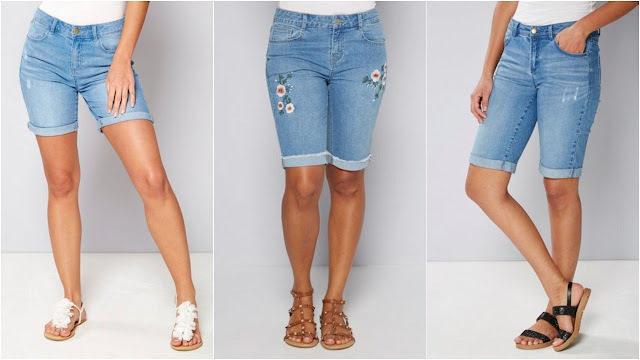 Denim shorts are a great staple for your holiday wardrobe. Lightwash denim is hard wearing, practical and matches with pretty much everything. Keep in mind the weather, but make sure you choose a length that you are comfortable in. 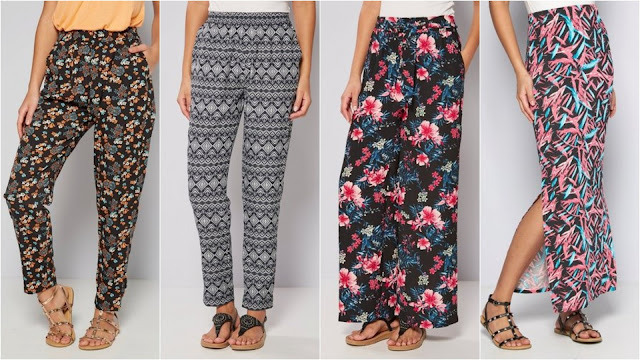 Lightweight trousers are another great, versatile piece for your suitcase. Light and comfy enough to wear during a hot day, and dressy enough to go out for dinner later on. If you’re keeping it neutral on top, you can pick a nice floral print to add a bit of colour to your outfit. A Maxi Dress is another must-have item for your holiday wardrobe. The lightweight material will keep you cool in the sun, and stylish enough to take you through the day from beach to bar. There are so many styles and prints out there, and no need to worry about coordinating pieces. Just slip on your maxi dress, a pair of sandals and off you go! There are so many styles to choose from. Whether you’re a bikini girl, or prefer your trusty one piece, pick a style of swimwear you’re confident wearing. Whatever your style, there are loads of gorgeous prints and flattering cuts to choose from. Once you’ve picked your swimwear, coordinate with a cute cover-up you can rock at the beach or by the pool. Choose a pair that are cute and practical (no big heels!) If you’re only packing one pair of shoes, ditch the wedges and big boots, opt for a comfortable pair of sandals that will take you through the week. 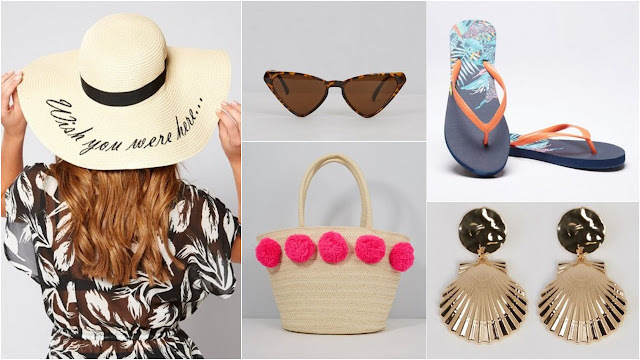 Don’t go OTT with accessories, but a few key pieces are essential for a warmer climate.If you’re going down to the beach, make sure you’ve got a bag that will fit in all your essentials! A stylish pair of sunglasses is a must, to keep those rays out of your eyes and a straw hat is a great way to stay safe in the sun and keep the strong rays off your shoulders. You can still pack light if you pack smart! You can easily increase your outfit options by adding a few extra pieces. As long as you keep to the same colour palette, adding a few tops and another pair of shorts would give you several more outfit options to take you through the entire holiday. It's just as easy, if you make a few changes! If you’re sightseeing in the city, rather than sun bathing on the beach you can still pack smart and stylish. Follow all the same principles, but ditch the swimwear, swap your maxi for a midi, your beach bag for a backpack and add some sensible walking shoes. Yes, it's still possible! In the unpredictable British weather, layers are your best friend. But don’t worry, you still won’t have to pack suitcases full. Switch the short-shorts for practical jeans, stick with three or four neutral tops (a mixture of long and short sleeves), a warm jumper and raincoat. Oh, and don’t forget your trusty walking boots! Hopefully these tips have given you some inspiration for your own holiday capsule wardrobe. 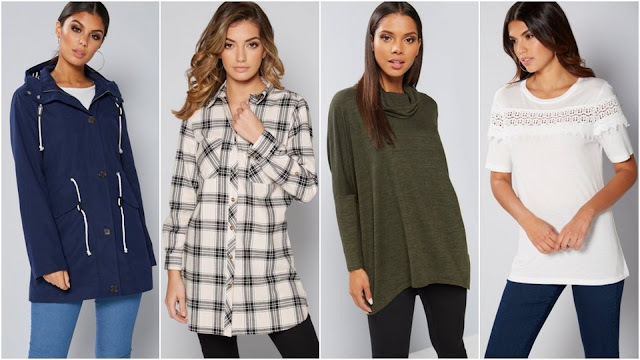 If your holiday look is in need of a refresh, check out our full selection of ladies’ fashion here. 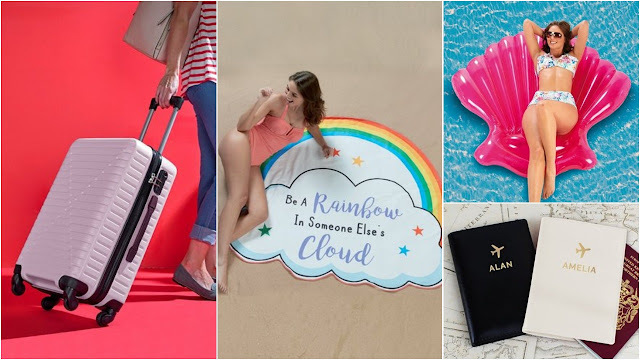 Plus, we’ve got men’s and kids summer fashion, suitcases, beach towels, pool inflatables and holiday essentials in our holiday shop.